Wright AC & Heating Co. in Magnolia, TX can take care of all your HVAC needs, including installation of new HVAC equipment as well as ice machine service, heat pump repair and tubular hanging heater cleaning. We go above and beyond to make sure that you receive the kind of service that you need and deserve. Once you’ve worked with us, you are sure to come back to us for all your HVAC projects. Read the reviews from some of our satisfied clients to get an idea of our work. "I have been using Wright since my new home warranty expired and cannot say enough good things about them. Rodney has performed most of the work and he does an incredible job. Very informative and helpful explaining the system and how it should be most efficiently operated. The system works far better than it did while being serviced by the original builder contractor. While Rodney has been our main contact, all of the personnel that we have worked with are great." "Always have a great experience with this company! They’re on time and very reliable. They installed our system 3 years ago and we have them our to do the seasonal inspections." "I have been a customer of Wright A/C for about 15 years or longer now. I have experienced nothing but professionalism from their service techs. Their service techs are extremely knowledgeable in all aspects of HVAC, and they are a company that still values Customer Service. I would highly recommend Wright A/C and Heating for ALL your HVAC needs both for Residential and Commercial." "Wright is the RIGHT ac company to call. They fix it RIGHT the first time. They show up at the RIGHT time. They treat their customers RIGHT. Can't go wrong with WRIGHT AC. "Can't say enough good about this company. They are quick to respond, always identify and fix the issue the first time and don't charge exuberant fees. We've used them multiple times and they will always be our first call for AC/Heating issues." "I can't say enough good things about this company. They are responsive, honest, knowledgeable, and fair. 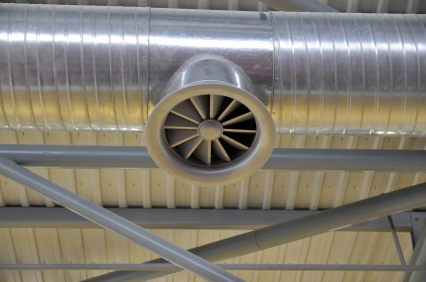 We've used them for years to maintain our residential and commercial HVAC systems. Simply put...they do a great job!" "Great experience. On time, great service, honest, and affordable." "I called them on a Saturday and they were here within the hour!! The tech was professional and knowledgeable. I will definitely use Wright air again." "Very quick to come out, also right on time. Rodney was our service tech, very good and very professional. Will differently use again"
"The Wrights do it right they came out earlier then we expected them found out what the problem was with my ac unit told us what we needed. Excellent service I will be recommending then to all my friends and family for all there ac needs. Thanks yall so much for helping my family have our ac back and running!!!" "Excellent company and owners.Came out and serviced my AC for free. Not able to work right now due to an accident." "Came home to a nice cool house! Thank you for the great service!!" "Wonderful business whose staff professionally installed our 16-SEER TRANE A/C! Rodney Fruge, Jr. and his team gave us excellent service and we highly recommend this company for all of your heating and A/C needs!" "If you need an honest fair and reputable company for your AC and Heating needs, then Willie of Wright AC is your man. We had been given the run around by AHS the home warranty company after they had sent out two AC technicians. One of them wanted to replace old equipment that although not high efficiency, was still working. The second one, was only interested in quoting us to replace two systems. Willie came out and spent about an hour inspecting the system, showing me what he was doing and explaining everything to me. When he came out of the attic he already had one system working and blowing cold air. He gave us options to repair the existing equipment and options to replace part of the systems or all of the systems. Remember these systems in houses are split systems with half of the unit outside and the other half in the attic. It is not always necessary to replace all components to get yourself up and running. We elected to replace half of the units with a huge savings over what the Warranty company man wanted to charge. This will be the second system he has installed for me as he installed a complete heat pump system for me two years ago, that has worked great ever since. I highly recommend them to anyone needing an AC repair company." "Super fast and friendly service! Arrived 10 minutes early and had us up and running again less than 20 minutes later. Although I would prefer to not have any further AC problems, I would definitely call them again in the future!" Do you want more information on our package unit service? Are you interested in learning more about our walk-in freezer and zone system installations? We are here to answer all your questions. Contact us today to find out how we can assist you.